Engage At Lunch – Have You Heard of Citizen Science? Home > Engage At Lunch – Have You Heard of Citizen Science? Have you heard of Citizen Science? My research encourages people (citizens) to report information (science). Engagement is a two-way street. I enjoy learning all sorts of titbits and fun facts from the people I’m engaging with and, conversely, I revel in sharing insights from the research that I conduct. The Wingtags Project, research into three urban bird species, has benefitted from this conversational approach to informing research. Likely everyone has, at some point in their life, watched a nature documentary. As a result, I find that most people will have at least a passing interest in some of my experiences studying nature, whether it be talking about how Powerful Owls, Sulphur-crested Cockatoos, or flying-foxes (aka fruit bats) move across the landscape, why they are (somewhat unexpectedly) increasingly occurring in urban areas, or the actions that we can take to encourage animals to flourish around our homes and in our landscapes. 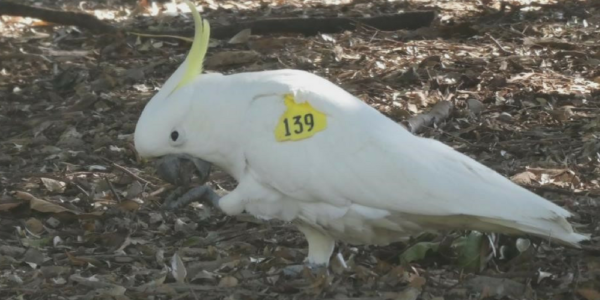 The Cockatoo Wingtags project, one of the three study species, benefits from the observations of members of the community (citizen scientists). The presentation will review the project and present lessons learned thus far, including; how to promote and encourage participation; how community relationships have been fostered and maintained; and, mobilising media and other partners to keep the project active.